All dates are locked in for the year for practices. Below is the tentative time slot for each Graduation year for our Fall and Winter Sessions. 2 Fall Tournaments: Will be selected by August 1st and will be loaded on our Website. November 1st/ 7th Thursday, Wednesday: Final Practice day will be based on your graduation years’ time slot. CT-Shoreline Sharks Introductory Select Program: is comprised of players in 4th Grade (Graduation Year 2027). Our introductory team is focused on teaching the core fundamentals to our youngest athletes and helping them mold into players who are looking to compete at a high level in the sport of Lacrosse as they grow older. This team will provide our players with the experience of training year-round and gaining an understanding of what Club Lacrosse really is with a modified structure preparing them to make the transition into our Full Club Team Format as they enter into 5th Grade. 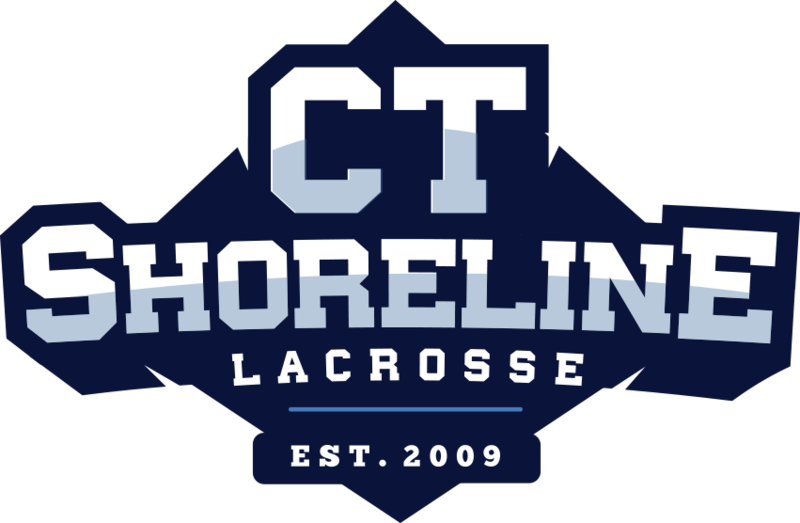 CT-Shoreline Sharks is for players who are looking to take their game to the next level and compete against strong competition from around the North East and across the country. This program is focused on bringing together our athletes into competitive teams and training together throughout the offseason as a unit to maximize their cohesiveness gaining the club team repetitions needed to dominate in tournament play while having as much fun as possible. Our 4th grade team will be challenged in high paced skill training practices in the Fall/ Winter/ and Summer Months. They will receive all of the Shoreline Gear listed above and will compete in 3 Summer Tournaments. Payment is broken down in 3 This covers everything for the Fall, Winter, and Summer Seasons. January 2nd(First Day of Winter Practice) Second installment of $450 is due. CT-Shoreline Sharks Youth Select Program: is comprised of teams in the following “current” grades: 4th/5th/ 6th/ 7th/8th/. CT-Shoreline Sharks is for players who are looking to take their game to the next level and compete against strong competition from around the North East and across the country. This program is focused on bringing together our athletes into competitive teams and training together throughout the offseason as a unit to maximize their cohesiveness gaining the club team repetitions needed to dominate in tournament play. January 2nd(First Day of Winter Practice) Second installment of $550.00 is due. The most important key of our program is to provide an opportunity for each player who truly strives to reach their full potential on the field and understanding the work that goes into playing at the next level. In order to have success on the field you must have Fun and when you are having fun competing in the Sport of Lacrosse you will be able to reach your highest Lacrosse goals. We are here to assist, teach, and guide you through the ever changing Lacrosse world and the college recruiting process. $700.00 (New Member) *Helmet Cost Factored in.